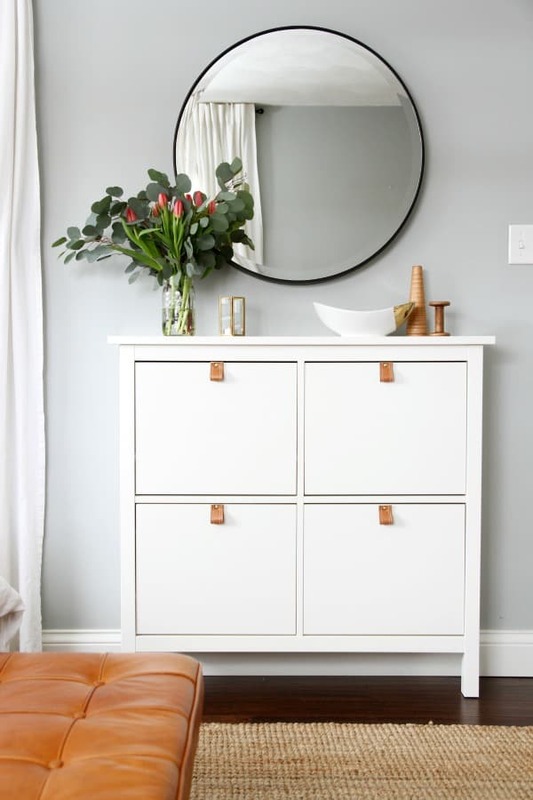 This Ikea furniture hack from Love and Specs is perfection! She started with the Ikea Rast. Check out the makeover on her site. I love how she added feet to the dresser and the new knobs are adorable. Check out this furniture makeover project by Diva of DIY! In My Own Style turned an Ikea dresser into a rolling desk. This makeover is one of my favorites. Check out how she did it on her site. 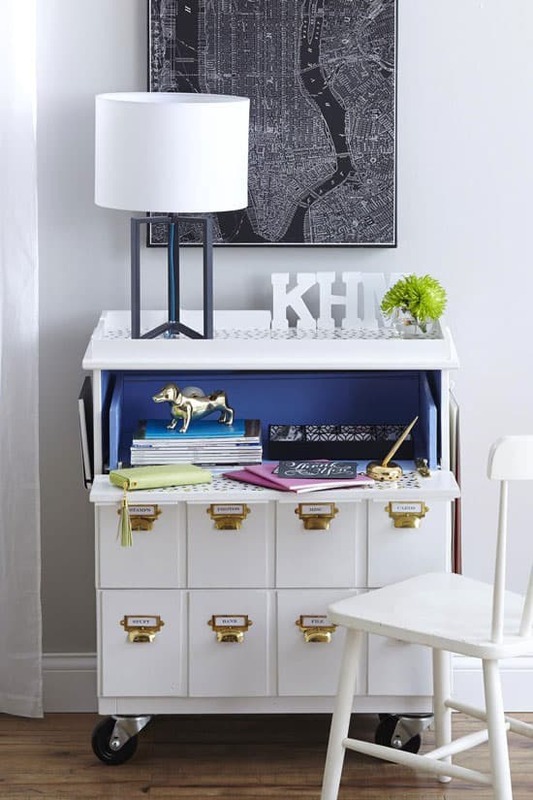 Here’s another beautiful Ikea Rast hack, this time by Simply Beautiful by Angela. 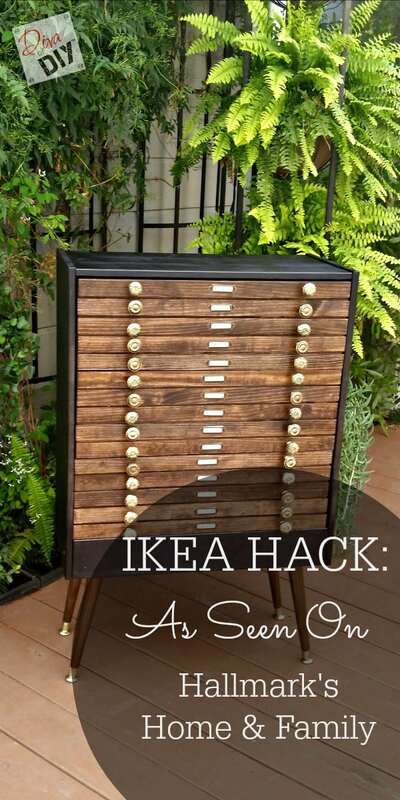 This is my all time favorite Ikea Rast Hack. Thrifty and Chic has done an amazing job turning this into an industrial, farmhouse style piece. Dream a Little Bigger started with an Ikea Rast and turned it into a mid-centry modern dresser. I absolutely love it. 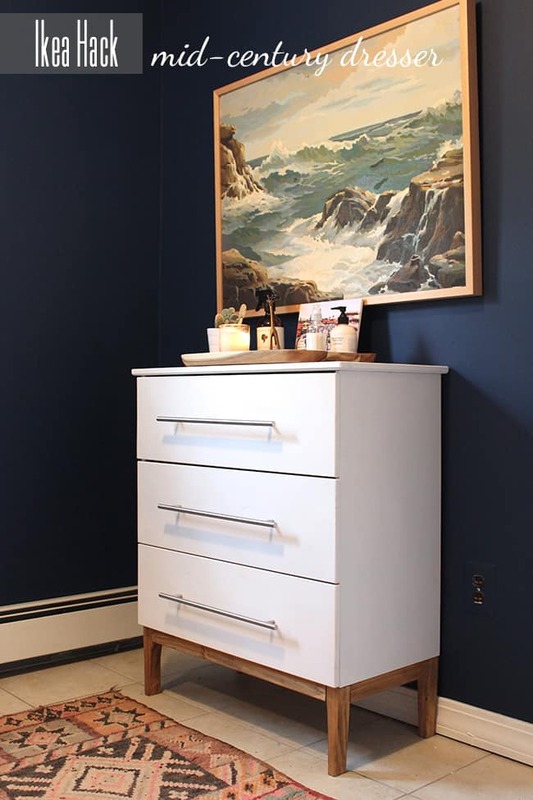 I love this simple yet stunning Ikea Hemnes hack by House Tweaking. She used a belt to create leather pulls in place of knobs. Check out the tutorial on her blog. 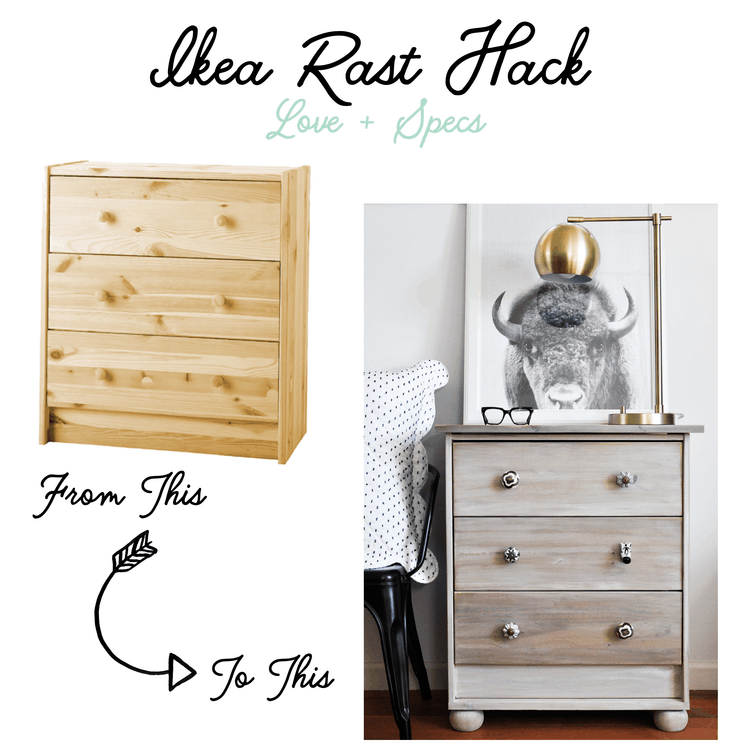 Style at Home did an amazing job with this Ikea Tarva Hack! 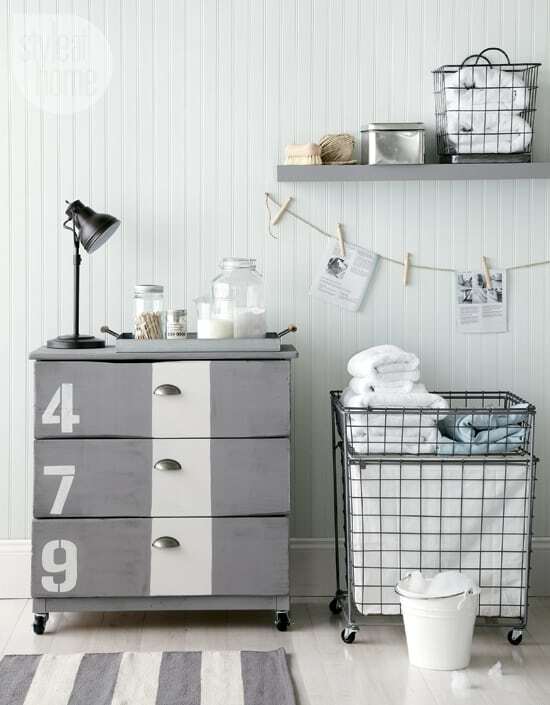 It looks great in this laundry room, but would also look adorable in a kids room or nursery! 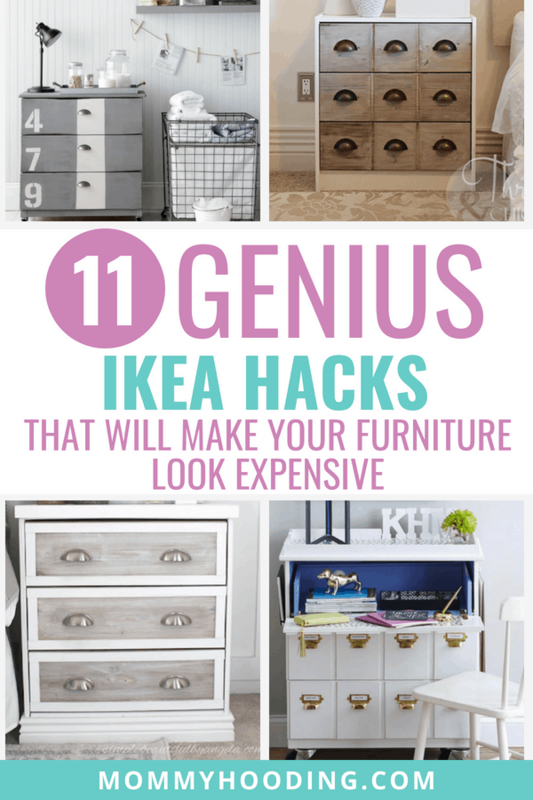 Last (but certainly not least), check out this Ikea Tarva hack by Undeclared Panache! You would never think it began as an Ikea dresser. Check out the tutorial over on her blog.